- Martin & Vleminckx Ltd.
Martin & Vleminckx, announce the appointment of a new Sales Director for the Americas. Mont-Royal, Quebec, November 6th, 2018 – It is with great pleasure that Martin & Vleminckx announce the promotion of David Welsh as the new Sales Director for the Americas. Mr. Welsh has over 30 years’ experience in the amusement park industry. Since 2014, he has held the position of Project Manager with Martin & Vleminckx and was a key member of the team that was involved in the installation of many of their renowned wood coasters. He will be responsible for all sales activities in the United States, Canada, South America, Central America and Mexico for: Martin & Vleminckx wooden roller coasters, Fabbri, products, Preston & Barbieri products, as well as ride installation, repair, and dismantling services. Chuck Bingham, Sr. Vice President, Marketing and Sales, will continue to oversee all sales activities for the Americas and worldwide. Martin & Vleminckx announce the opening of a Chinese company in Shenzen and its subsidiary in Wuhan, China. Montreal, Quebec, March 7th, 2018, – Martin & Vleminckx, a world leader in the Amusement Park industry, is proud to announce the opening of Martin & Vleminckx Parts and Services (Shenzhen) Ltd and its subsidiary Martin & Vleminckx (Wuhan) Trading Ltd.
Martin & Vleminckx Parts and Services (Shenzhen) is a wholly Foreign Owned Enterprise by Martin & Vleminckx Ltd. The new Chinese companies will provide Chinese customers an improved post sale experience with parts and post sales services available in China. The ride parts distribution as well as maintenance and consulting services will be managed at the Wuhan warehouse. The opening of these new companies shows MVR’s priority on building long term business relationships with their customers. It also demonstrates MVR’s commitment to provide the best products and services to Chinese customers. Martin & Vleminckx, the International Outstanding Roller Coaster Supplier award winner at the 2017 Asia Attractions Gold Crown event. 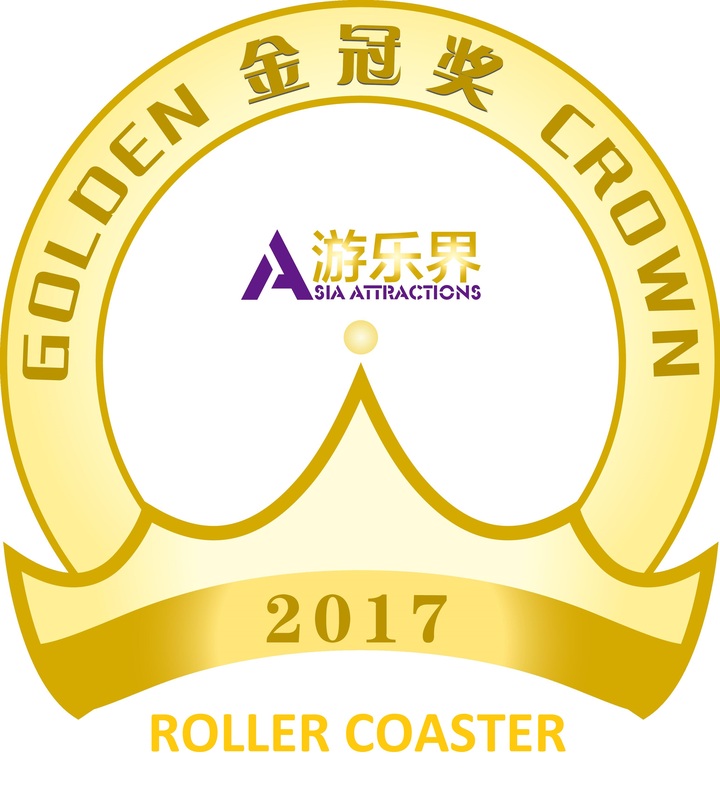 (Shanghai, China) On October 19, the 2017 Asia Attractions’ Golden Crown Outstanding Suppliers & Park Awards celebrated the very best the amusement industry has to offer with a glittering awards ceremony and formal dinner, held at the Sheraton Shanghai Hotel & Residences, in the Pudong district of Shanghai, China. More than 150 industry experts, park representatives and supplier representatives attended the awards ceremony, which saw 13 Outstanding Suppliers Awards and three Outstanding Parks Awards presented by the leading business magazine for the amusement industry in China, Asia Attractions. Among the high-profile guests, Chinese theme park industry expert Zhu Xing attended the evening, along with Zhong Zinfu, Director of Water Attractions Special Committee of CAAPA and General Manager of Prominent Technology Enterprise; Zheng Wei, Vice President of CCIA Cultural Tourism Development; Liu Yuzheng, Vice-General Manager of Huayi Brothers Real Scene Entertainment; Ge Shiwei, Office Director of Shanghai Jinjiang Amusement Park; Wu Chunlai, General Manager Assistant of Suzhou Park; Li Pengwei, Vice President of BRC Cultural Tourism Group; He Lin, General Manager of Aoyuan Cultural Tourism; Lin Huanjie, President of Institute for Theme Park Studies in China; Fang Long, General Manager of Chengdu Aqua Magic; Wu Liubing, Assistant General Manager of Changzhou Dinoland; Li Yanchan, General Manager of Winsing Animation Group Park; Shang Lishuang, General Manager of World Carnival Amusement Park; and Zhang Li, Chief Editor of Asia Attractions magazine itself. There are three rounds of voting in the awards. The first round sees Chinese parks nominate companies and suppliers for inclusion; the second round comes in the form of WeChat platform voting; and the third round sees industry experts cast their final vote. International – Martin & Vleminckx Ltd.
International – JORA VISION EUROPE B.V.
China – Zhengzhou Wolong Amusement Equipment Co., Ltd.
China – Shenyang Chuangqi Amusement Equipment Co., Ltd. The 2018 Asia Attractions Golden Crown Outstanding Suppliers & Parks Awards will launch in Jun 2018. More information will be released concerning application dates and sponsorship opportunities. Press Release: November 15, 2017. Martin & Vleminckx is now the exclusive distributor for Fabbri Group and Preston & Barbieri Rides in United States and Canada. Martin & Vleminckx is proud to announce their agreement as the exclusive distributor for Fabbri Group and Preston & Barbieri Rides in the U.S.A. and Canada. With this agreement, Martin & Vleminckx offer now a complete portfolio of amusement ride solutions, from family and junior rides to exciting thrill rides. Martin & Vleminckx is the company to contact for your new attraction projects. Martin & Vleminckx, founded in 1982, is a world leader in the Amusement Park industry. Their headquarters is located in Montreal, Canada. Martin & Vleminckx have also a large warehouse, office and workshop facility in Haines City, Florida. 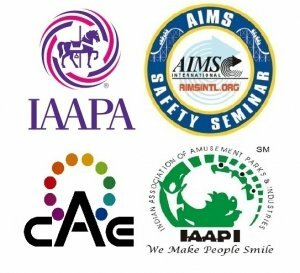 The company built their great reputation on completing top quality work for amusement ride installation of all types and sizes worldwide. Past projects include the installation of the two largest roller coasters in the world. Martin & Vleminckx offer a wide range of services that includes design and delivery of Wood Coasters of all sizes and types, plus prefabrication, construction, quality control, renovation plans, dismantling and installation of other amusement ride systems.